We all want to run awesome blogs that add value, catch peoples attention and make them keep coming back for more. So here's some really simple things you can do to before you hit that publish button! It's easy to get caught out when writing a blog post. It's so easy to skim over the important things and focus on the details. 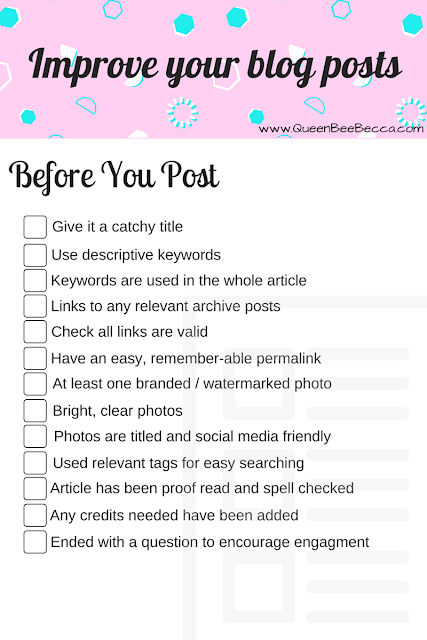 So with this in mind I've created a super easy list of things to do before you post to make your blog stand out from the crowd. Just to make life easier, I've even created this as a downloadable so you can do whatever you please with it! It's super handy to have next to your computer to help you remember before you post! Simply click on the picture to take you to the file! 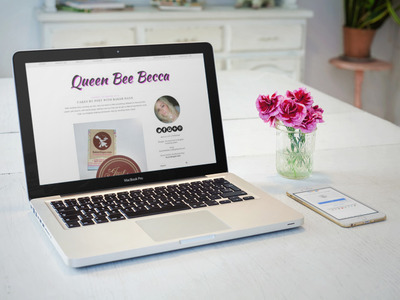 It's the first downloadable for Queen Bee Becca, so any feedback is welcome. I'll be posting another downloadable very soon! I need to tag posts but I'm not sure you can with blogger? I'm useless at keywords too, I really need to up my blogging game!